by Cornerstone Designs Int'l Inc.
railroad models, dioramas, dollhouses, and craft projects. Lancrest Moldings - A leading provider of fine architectural Moldings. We carry an extensive array of decorative accents such as Crown moldings Ceiling Medallions Corbels, and more. Qeasoft.com - Download software, shareware, free software. Accepts PAD submissions from shareware authors. Mantel Works, LLC, is your source for quality mantels and fireplace surrounds. All our wood mantel shelf & rustic fireplace mantels include finishing instructions & hardware. A & A Wood Craft Supply - Wood Crafting Material and Supplies, Woodworking Tools, Woodworking Plans and much more. A & S Online Shopping Center - your ultimate On line Shopping center featuring Woodworking Supplies and Tools, WoodCraft Supplies and Tools,Books,T-shirts and much more. About Time Plans - Clock Plans, Bookcases Plans. Desk Units Plans, Home Furniture Plans. Accents Woodcraft and Water Gardens - Enjoy sample woodworking patterns, workshop tips and info plus our Project Shop woodworking pattern catalog! American Buff International - Industrial Supply - Visit the abrasives super store. The largest selection of abrasives on the net! Your one-stop source for coated abrasives, nonwoven abrasives and specialty abrasives! Arizona Specialty Woodcrafts - Custom Unfinished Handcrafted Wood Boxes - Power Tools, Work Clothes, Lumber, Hardware, Branding Irons, Project Plans, Kits, Books, Furniture, Gifts and Crafts Supplies. Art & Craft Supplies - Affordable high quality Art & Craft Supplies from everyday basics to highly specialized and hard-to-find items right from your home. Barbara Butler - Treehouses and Play Structures for Kids. Offers both pre designed wooden play houses and 2-story play sets, as well as site-specific, redwood play structures and children's treehouses that come in all shapes and sizes. Benchnotes - A Collection of Plans, Jigs and Information. Bob's Plans - Free Woodworking Plans for Jigs and Smaller Projects - Furniture Plans. CID Woodworking - Plans and Downloads - Furniture Plans for Beginners to Experts. Country Woodcrafters - "Heirlooms of tomorrow are created today" at the Country Woodcrafters where everything is handcrafted in our Family owned shop. We use Hardwood, Softwood and Century Old Barnwood. DCM Products - Affordable handcrafted furniture. Unique quilt racks, roll top bread boxes, saddle racks and much more. Daddy's Workshop - We specialized in the art of woodburning or handpainted personalized gift plaques and signs. Erector Sets - My Erector Sets specializes in providing a wide range of erector sets for children of all ages. Fine Wood Toys - Hand-crafted and hand painted wooden toys for children. Wooden rocking horses, toy chests, toy barns, board games, childrens furniture, toy trucks, wooden trains, toddler toys and wooden stacking toys. Gold Country Woodworks - Woodworking plans for wood working enthusiasts of all skill levels. Ken's Wooden Toys - Wooden Toys - Trucks, Trains and More. Kerry's Portraits in Wood - Immortalize a picture of a loved one in a beautiful scroll saw portrait. A unique and wonderful gift for any occasion. Transform your cherished portraits into a work of art like none other you have ever seen. L&R Designs - Offers a variety of woodworking plans available for immediate download. Little Cedar Log Homes - Log homes in Missouri & surrounding states. Log siding, closet lining and other aromatic red cedar products. Log Furniture Place - We offer rustic log cabin and home furniture including log bunk beds, log beds, lodge furniture, arches and arbors, nightstands, lounge chairs, cedar bar stools, rocking chairs, desks, swings, table sets, pool tables as well as other log home furnishings. MacDuff Woodworking Page - Jimmyjig Plans - Tips and more. Mike's Workshop - Scrollsaw Blades. Out of the Woods Sign Makers - We assemble personalized 3 dimensional wood signs by adding your choice of centerpiece and lettering to a sign backboard. Patio Umbrellas - Patio Furniture Covers carries a variety of high quality FIM offset patio umbrellas including upright and cantilever. Pool Enclosures Systems - Libart provides largest range of telescopic opening and fixed swimming pool, Spa and Hot Tub (cover) enclosures. For year around swimming enjoyment in your outdoor pool. PyramidWoodcraft - Fine wood boxes,furniture,woodworking. Rick's Woodshop Creations - Home of the web's largest online index to thousands of articles in 23 woodworking magazines, tool gifts guide, links to hundreds of woodworking-related sites and a quick-search of thousands of woodworking plans by keyword. Robinson's Woodcrafts - Offering the largest selection of Quilt Racks, Quilt Hangers, Wooden Shelves and Country Home Decor. Signs of Wood, Co. - Personalized 3 dimensional wood signs for gifts and business. Home of the Arts, Crafts, Hobbies and Handmade items Directory. Simple Life Creations - We specialize in fish and wildlife Handcrafted wood carvings and wood art. Small Fry Toy Aircraft - 3 Different Sets of Plans for Constructing Toy Airplanes that your Kids can Pedal around the House or Yard. Steve's Wooden Toys - All the wooden toys one man can build! St. Louis Woodworder's Guild - A nonprofit organization. Membership is open to all having interest in working with wood. Sugar Bear's Woodworks - Hand Crafted From Domestic and Exotic Woods. Heirloom Locomotives, Train Cars, Train and Truck Plans, Trucks, Fire Trucks, Jewelry Boxes, Dominoe Holders, Letter Openers, Puzzles And Gifts. Vintage Games Woodworking Plans - Woodworking plans for action table games and other projects designed for hobby woodworkers and home workshops. Whip-eez - Complete line of N2o & Co2 chargers plus whip cream dispensers and soda siphons. We also have many different syrups to make delicious tasting whip cream and soda drinks. WoodCentral - Woodworkers of all stripes come to share a wealth of good information, offbeat humor and a unique camaraderie. 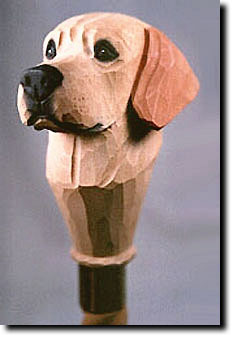 Wood Crafting - A Free Wesite where artists can post photos of wood art sculpture and crafts in a professional format. Wood Signs, Hand Painted Plaques, Dog Toy Box - We specialize in the art of woodburning wood signs and hand painted plaques, dog toy boxes, personalized, rustic, handcrafted welcome signs, housewarming gifts and plaque sayings worldwide.